In a push to force Republicans to get behind creating more gun laws (like the ones Cybercast News Service reported Syed Rizwan Farook having violated), the New York Daily News took the same slimy path as other liberals by politicizing the tragedy. 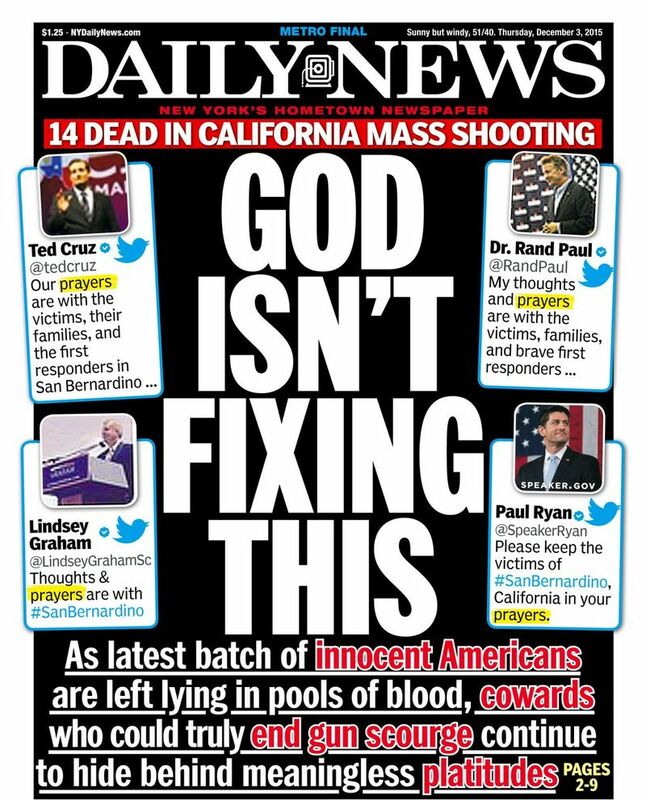 Instead of reporting the news of an event that resulted in 14 deaths and 21 injuries, New York Daily chose to mock God, insult Christians, belittle the condolences made by politicians, and push for more laws similar to the ones broken when Farook received rifles that he did not buy from a California licensed firearms dealer. In this piece, they listed the tweets of Ted Cruz (refer to the embedded tweet below), Chris Christy, Ben Carson, Donald Trump, Mike Huckabee, John Kasich, Lindsey Graham, and Rand Paul. Next, they listed tweets from Hillary Clinton, Bernie Sanders, and Martin O’Malley — all of whom called for gun control and none of whom expressed having prayed. 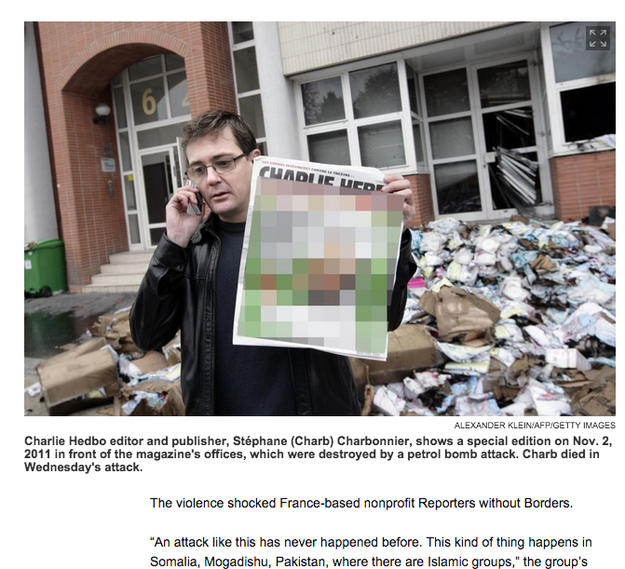 The first coincidence that I found was that the New York Daily was one of many cowards who blurred photos of Charlie Hebdo cartoons in the wake of this year’s first Paris attack by Islamists. Imagine that these fine “journalists” who have no problem impugning the faith of Christians would blur images to keep from insulting Islamic murderers. Next Post Can We Help Today’s True Martyrs?